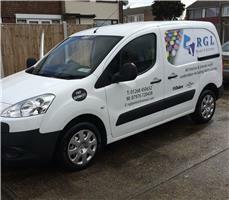 RGL Painter & Decorator - Painter/Decorator based in Basildon, Essex. Welcome to the Checkatrade page of RGL Painter & Decorator. My name is Richard and I have over 20 years of experience in the painting and decorating industry. RGL Painter & Decorator has been established for 20 years and works closely with customers on new and existing commercial, domestic properties . We successfully manage large and small projects and we pride ourselves on our reliability and high quality of work. I am fully qualified and hold a City & Guilds Level 2 qualification. - Painting - Big jobs or small, Interior or exterior, emulsion , gloss, satinwood and other specialist paints all used . -We focus on maintaining a high standard , both in preparation and in the use of the best products available . Whether you require one wall or an entire home or business painted please don't hesitate to contact us . I am hard working, and will ensure all my customers are satisfied with the work completed, by excellent time keeping, cleanliness and great quality of work. I offer free quotes with no obligation. View our Facebook page here to see some more photo's and our excellent customer reviews.